Allergy Friendly Stir-fry okra and peanuts during pregnancy… – Allergy Foodie: Thrive with top 8 food allergies! Allergy Foodie: Thrive with top 8 food allergies! ‘Eating peanuts while pregnant cuts child’s risk of allergies’ – hmm! This research study made headlines on Christmas Eve, 2013 in Food Allergy circles. Now, I did eat tons of nuts but it did not help my son escape nut allergies. But, it did help me put on oodles of weight :)) However, one example like me does not a study make and it is definitely good news for all of us! Let me be candid – frozen okra is just not as yum as the fresh ones in terms of texture and the high water content makes it too gooey. So, thaw and drain them completely before using. But if you have never handled fresh okra before. 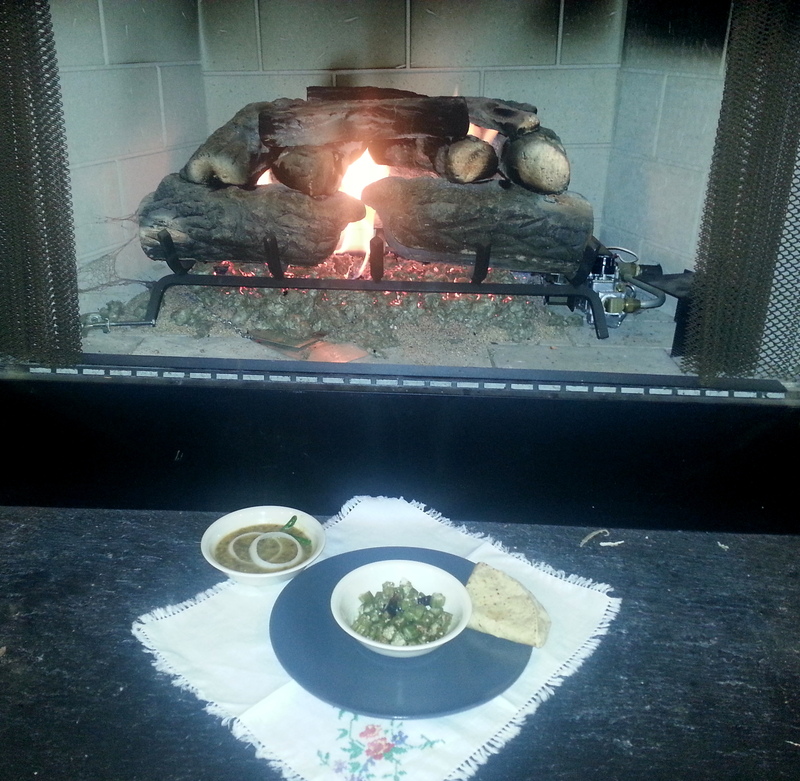 frozen okra is an acceptable alternative and it also cooks considerably faster. 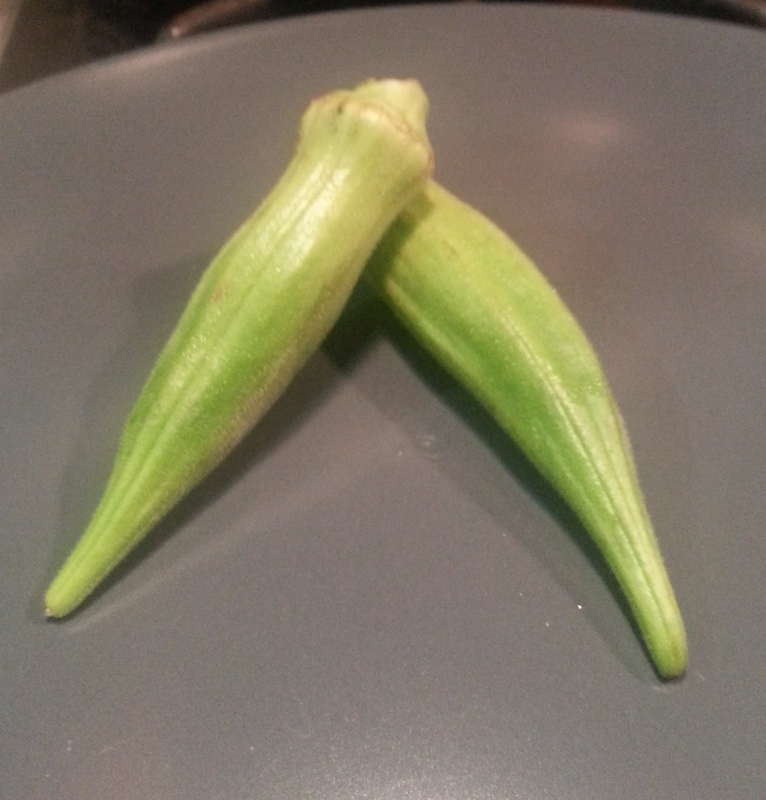 If you have fresh okra, wash them thoroughly under running water and dry them. Heat the oil in a heavy bottomed vessel on medium heat. When the oil is hot add 1/2 tsp. mustard or cumin seeds. 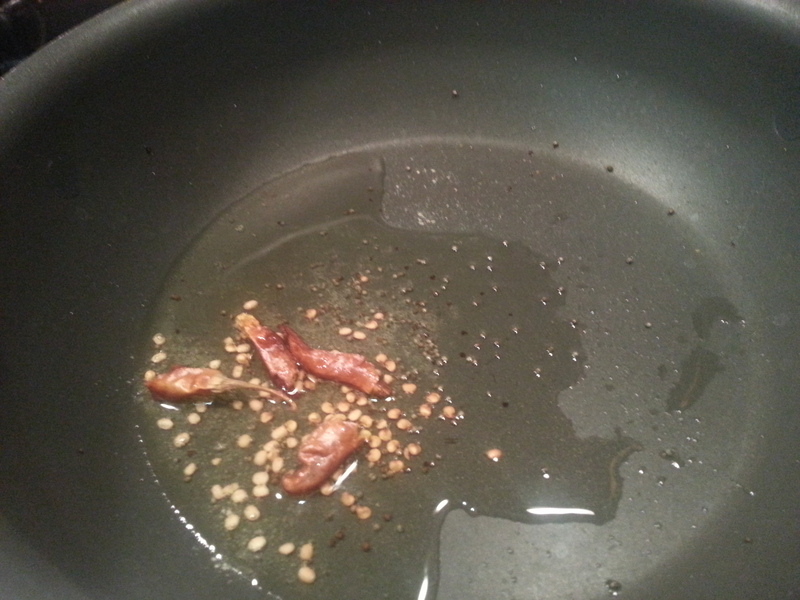 If using mustard seeds – let them stop sputtering before adding the red chili broken into 1. Stir for a few seconds. Now add the cut okra and mix it well. 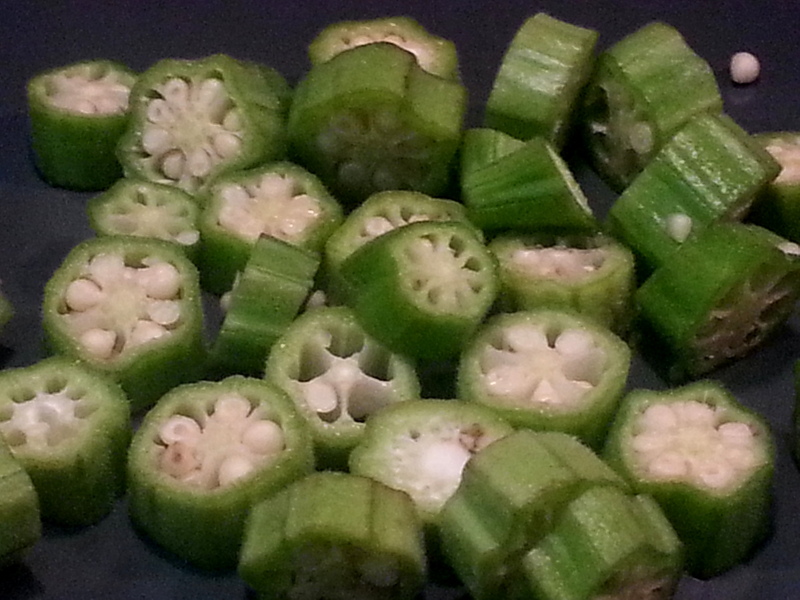 If using fresh okra, cover and cook for the first 10 minutes on low to medium heat. Then uncover and cook till done on medium flame. 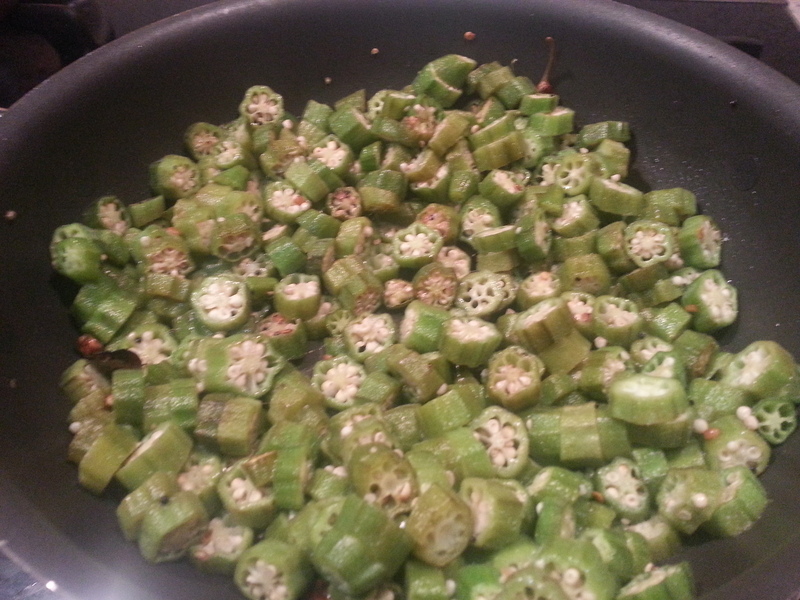 If using frozen okra – do not cover and cook. Stir very gently. It takes about 20 – 30 minutes to cook. Frozen okra cooks faster. 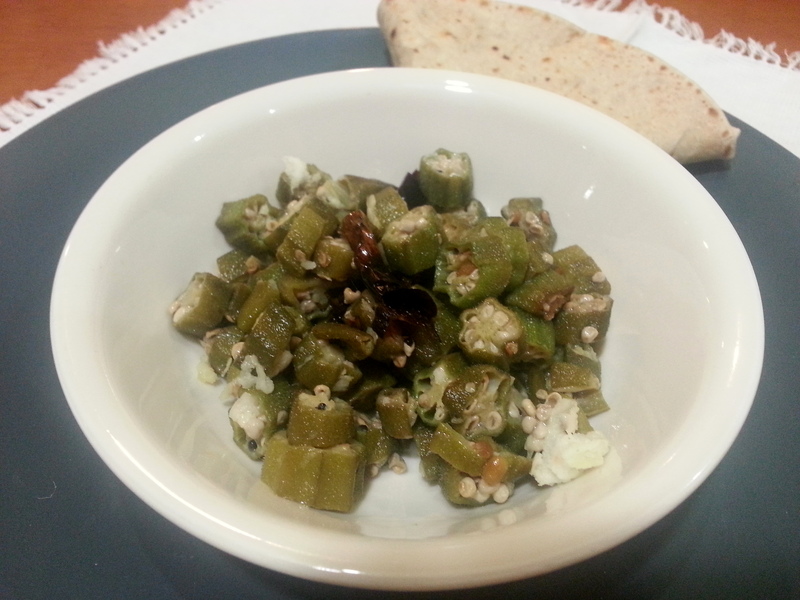 Okra is a delicate vegetable once it starts cooking – stir it gently and not too often. 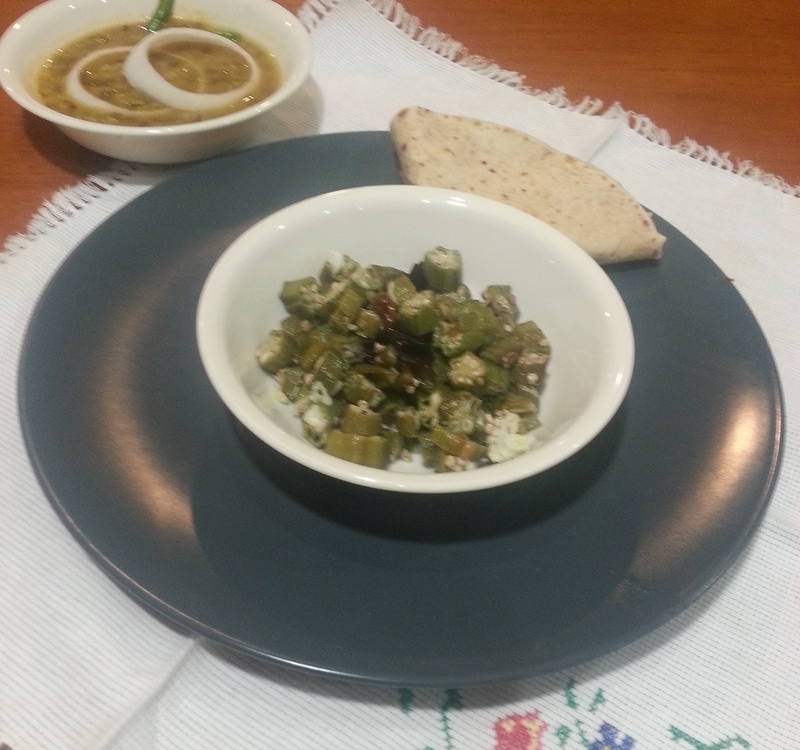 Posted on 10 Feb 2014 11 Feb 2014 by Anu RaoPosted in RecipesTagged allergy friendly okra, mung bean, nut allergies, okra. Nice recipe you shared with us.I’ve heard first time that name but the recipe looks like tasty.Thanks for that. I’ve actually never tried okra, but I hope to soon! Thank you for the recipe, can’t wait! Your blog has caught our attention thanks to the quality of your recipes. We would be delighted if you would join us on Recipes.in so that we could link to your blog. Recipes.in is a search engine that compiles the best Indian cooking sites and blogs from the Internet. We are one of the largest in the world with sites in 37 markets and several hundred blogs are already enrolled here and benefit from the traffic we are sending to their sites. I could not find a direct link to contact you, so I’ll have to leave it in your comments section and hope that you see it. My 2.5 year old son is allergic to dairy. I was shocked to learn that the Affordable Care Act does not cover epinephrine injectors, life-saving medication for people with food allergies. I wrote a petition on change.org asking the US Government to mandate that all insurance plans cover epinephrine injectors. Please take a look and consider sharing this petition with your followers. It seems delicious and thanks for sharing the recipe. I am not pregnant but hopefully soon, when it happens, I will surely consider eating this one especially I know that it can help the child for not having any kind of allergies and that’s a big thing for me. Thanks for sharing the research about it here in your blog. A fantastic find in Nashville’s Glutch region - Food Network’s Maneet Chauhan’s trendy Indian restaurant. Fantastic service- loved the waiter’s first question - ‘Does anyone have food allergies that we should address?’ - as mom to a child with multiple food allergies - this was sweet music!! #allergyfriendly #foodallergyfriendly #maneetchauhan 😍 The fresh vegetables in moilee sauce was my fav! @maneetchauhan rocks! This is not a medical site. Please talk to your allergist on how to best manage allergies. The views expressed here are mine alone.